Today, the seat belt serves to protect drivers and passengers from injury during any type of collision. The concept came about from inventor George Cayley back in the early 19th century. The goal of the belt was to secure a person to a moving object and was often used for fireman and painters to provide an extra level of protection. In the 1950's, Dr. C. Hunter Shelden took the seat belt to a new level by researching the injuries and fatalities that were happening with the current restraint systems. He introduced a retractable version that made more sense. Around this same time, Congress began passing legislation surrounding safety features in vehicles. In the United States, a New York State law in 1984 marked the first legislation requiring individuals in the front seat to have on a seat belt while operating a vehicle. Today, every state has some type of law that makes it an offense to not be wearing a seat belt and the penalty varies from one area to the next. There is no doubt that seat belts and the legislation surrounding them saves lives. Vehicle accidents are the number one cause of death for individuals as young as five and as old as 34. Aside from the fatalities, many people suffer serious injuries as a result of the incidents. According to the Centers for Disease Control and Prevention, seat belts reduce the risk of death in vehicle accidents by around 50%. Safe defensive driving tips, like encouraging drivers to put on a seat belt, have the ability to protect drivers and passengers. 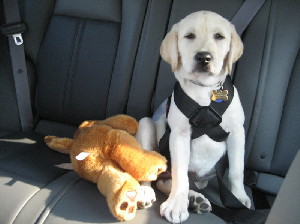 By keeping a person in place, the seat belt prevents ejection from the vehicle. Because of the security of the belt, it also prevents the body from being jarred during a sudden stop or collision. Seat belts do not prevent a person from moving altogether, however they do ensure that a person's body does not come into contact with the dash and that the body remains in the same general area of the vehicle. The strongest part of the body is restrained and the impact of the crash is spread out over a wider area, including the shoulders and torso. 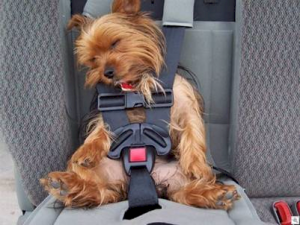 With a seatbelt on, it is possible to slow down the body and protect the spinal cord as well as the brain. 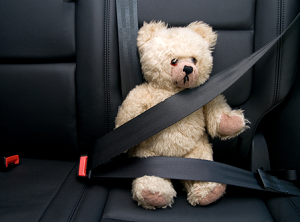 Adults are not the only individuals to benefit from seat belts. From birth, a child should be in a rear-facing safety seat. Once a child has reached the age of one, he or she can move to front-facing car seat and should remain there until the age of four and a weight of 40 pounds. Then, a child moves to a booster seat until he or she reaches the height of 4'9'', around the age of 8. It is important that children be seated in a way to maximize the effectiveness of the belt. Children must be a certain height in order to be able to utilize the seat belt correctly and, up until the age of 13, children should be kept in the back seat while a vehicle is operating. Seat belt laws are an important part of encouraging drivers and passengers to buckle up before heading out on the road. Plenty of research has been done to show the effectiveness of seat belt laws and their consequences. A study by Preusser Research Group compared the two types of state seat belt laws in the United States. Some states have primary seat belt laws, meaning that a law enforcement officer can pull over a driver specifically for not wearing their seat belt. Other states only have secondary laws that allow for a ticket to be issued if the driver or passenger is not wearing a seat belt, but only once the vehicle has been pulled over for another reason. The study suggests that there is a 15% difference in seat belt usage between states that have primary and secondary laws. When all of the numbers are calculated, states that have primary laws tend to protect more drivers and prevent more injuries and fatalities when it comes to motor vehicle collisions. In essence, primary laws save lives.To learn more about seat belts, safety legislation, and safe driving tips, consult the following links.